Slicing a few cents off the price of a gallon of gas can lead to significant savings over the course of a road trip, but hunting for a bargain can be tricky. Wandering too far off the beaten path can cancel out the purpose of seeking more affordable fuel, but pulling into the first gas station off the highway might mean missing out on a better option right around the corner. Never fear— several tools can help you find the cheapest gas no matter where you are. Wondering why gas prices vary so much from place to place? The U.S. Energy Information Administration (EIA) explains that several factors play a role on a macro- and microeconomic level. Crude oil prices and supply influence the ballpark cost of gas across the country, and can vary by season. But as any avid driver knows, the exact prices can vary even further depending on the region, state or even the block. The EIA points out that differing state taxes and regulations for fuel blends can also influence the final price, as well as the distance from the gas supply. It notes that each store also makes pricing decisions based on traffic, competition and their own business expenses. So, that's why the gas stations in the middle of nowhere tend to be more expensive than those on a busy main road. 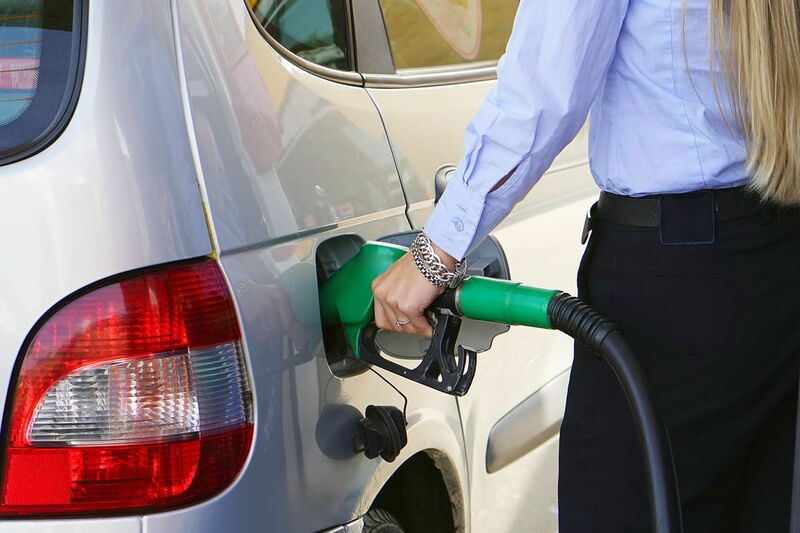 The fastest way to find the cheapest gas is to use smartphone apps that scan the immediate area for current prices. Download a few of these before the big trip to ensure you'll be ready to pull off the exit and straight into savings. Waze, the popular navigation app, allows travelers to see the prices of fuel at gas stations near their planned route to make an informed decision about where to fill up. GasBuddy scans the area for the cheapest fuel prices, and also allows users to pay for gas with the app at certain locations. Plus, users can complete challenges--like reporting prices--to win free gas. AAA Mobile (also available for Apple) combines route planning with a tool to find the cheapest gas prices during the trip, as well as hotels, restaurants and other points of interest. Gas Guru (also available for Apple) is another app specifically designed to find cheap gas, and displays the options on a map as well in a list. GetUpside shows the cheapest gas prices in the region, and also offers up to 25 cents cash back on each gallon when users redeem offers through the app and take a photo of their receipt. Racking up points through a gas station or grocery store loyalty program at home is another great way to save on a road trip. If you are a member at a grocery store such as Kroger or Costco, you can save gas points ahead of the trip to lower the overall price. This is a good option for filling up before you leave, as these grocery stores may not always be close to the highway during your trip. Additionally, major gas stations such as Exxon Mobil, Shell, BP and Sunoco offer special deals through their reward programs, as well as mobile payments and maps to nearby locations.